Einstein’s Oilery has always featured FREE Coke products with every service. Now you can enjoy your beverage dirty! Simply ask and we’ll add shots of coconut and lime syrup to your Coke, Diet Coke, Dr Pepper, or Sprite to give your drink an extra pop! 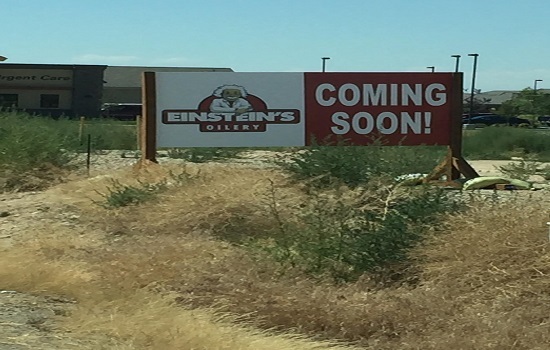 Einstein’s Is Coming To Caldwell! Einstein’s will be opening it’s first Caldwell location in Spring 2017! We will be located next to Primary Health on Cleveland Boulevard just west of Walmart. We look forward to serving the Caldwell community very soon! “I hate, hate, hate getting my oil changed. It’s so tedious. I always feel bombarded with questions and upselling. But, WOW! WOW! WOW! I ran through Einstein’s today. I’ve never used them before and what a great experience. First of all, as I pulled in I had an employee running toward my car with a newspaper. I was given a pricing list up front. I was offered a cold soda or other drink, and I was even offered a kindle to read while I waited. John helped me. He went through the enhanced service options with me and never made me feel uncomfortable if I said no. He was smiling, helpful, and quick. I can tell you the upselling was pretty painless and not pushy like I have experienced at other oil change businesses. I was able to watch an Olympic soccer match from the front seat of my car while I waited. John showed me a card that had all of my fluids on it and said he thought they were adequate for my car. He explained my charges and gave me estimates on what services he thought I might need in the future. Very helpful. Einstein’s Is Factory Warranty Approved By Law! The council strongly recommends keeping records and receipts for all maintenance that is done to the vehicle and adhering to scheduled maintenance requirements. If a warranty claim arises, these records will provide proof that maintenance has been done in accordance with the manufacturers’ recommendations and requirements. 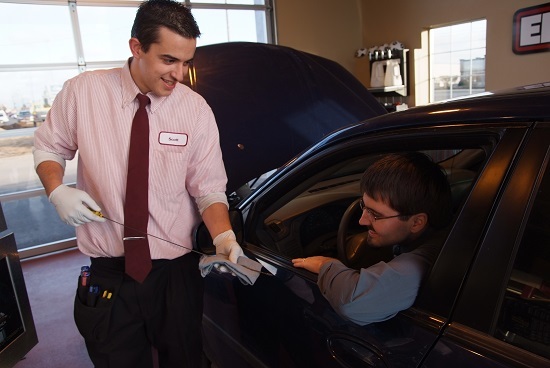 Included with every Einstein’s oil change is our Extended Courtesy, which allows you to have any of your vehicle’s fluids (motor oil, antifreeze, window washer fluid, etc.) or tire pressure checked and filled between oil changes FREE of charge! There is no wait necessary for this service. 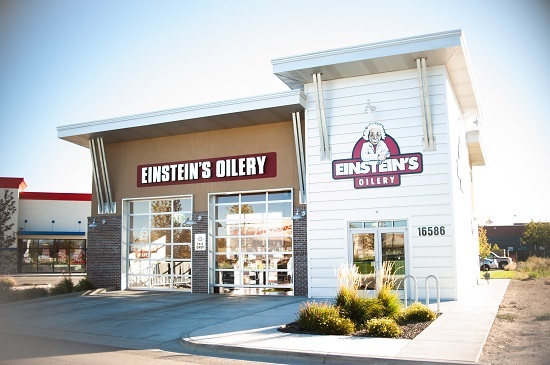 Simply pull up to the front of any Einstein’s Oilery location within 3 months of 3,000 miles of your last service and our friendly technicians will take care of the rest! KidsFest Idaho is Tomorrow (8/6) at Kleiner Park in Meridian! Dedicated to preserving the quality of family life in the Treasure Valley, Epique Events is hosting the 2nd annual Kidsfest Idaho 2016. Join the fun on Saturday August 6th at Kleiner Park (right behind the village in Meridian) from 9am-2pm. The FREE family friendly festivities include a full slate of activities throughout the day for all ages including arts and crafts, bubble soccer, live music, face painting, bounce houses, water activities, games, stage performances, and more! The party kicks off at 9:00 am with the first annual Kids Super Summer Candy Hunt (think Easter Egg Hunt without the eggs). Ages 5 and under will have their own “private” hunt. Older kids will be hunting for prizes scattered throughout the event area! Also not to missed is the now famous Mission Impossible game with a Jedi Theme (Kids wear your costumes!) held at 10:30 and 1 pm or join the Sawtooth Renaissance Players for sword fights (foam of course) and many more games and activities. Don’t miss out on the fun! This is a FREE event for everyone to attend.